In the United States, women are paid 77 cents on the dollar for the same work as men. At least, that’s the statistic we hear thrown around whenever the conversation turns to the gender pay gap. But when author and vlogger John Green mentioned these figures in one of his videos, some of his followers weren’t happy: “That has been debunked time and time again. Why are we still clinging to old and busted statistics,” one person commented. They’re right: the figures are misleading and have been called out many times in the past . The problem is in the calculation, which is made by comparing women’s median earnings and men’s median earnings. It doesn’t take into account differences in skills, experience, qualifications or even occupation. In the US, for example, 9 of the 10 most lucrative college majors are dominated by men , including engineering and computer science. Women, on the other hand, dominate 9 of the 10 least remunerative majors – from social work to theology. But the fact that this particular myth has been debunked does not mean there is no gender pay gap. There is, and 10 years of World Economic Forum research on the issue can attest to that. The Global Gender Gap Report looks at wage equality for similar work – which, while difficult to measure with complete accuracy, does overcome some of the above problems. 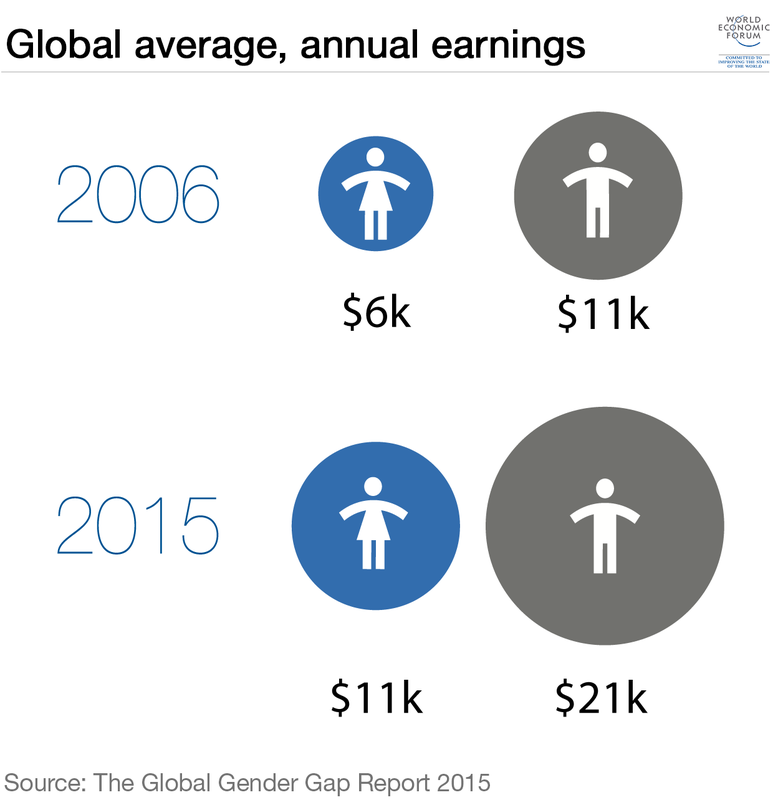 The latest edition found a steep difference around the world: women earn on average only the same as men did almost a decade ago. So what explains this stubborn gap? It is, John Green notes in a new video on the subject, “fiendishly complex”. But anyone interested in understanding more about the issue should listen to what he has to say.